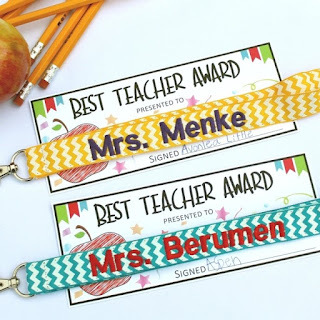 Show your teacher appreciation with a Personalized Teacher Lanyards $7.99 (Retail $14.99). Lanyards make great gifts for teachers, nurses, coworkers, etc. Great for your kids back to school! Grab it with their favorite sport! $2.99 for the first item and $0.50 for each additional item. US only. Ships no later than Mon, Apr 30. Lanyards are 36" around ribbon with a soft velvet backing for comfort or the same ribbon as the front. Lanyards come with a swivel clip.